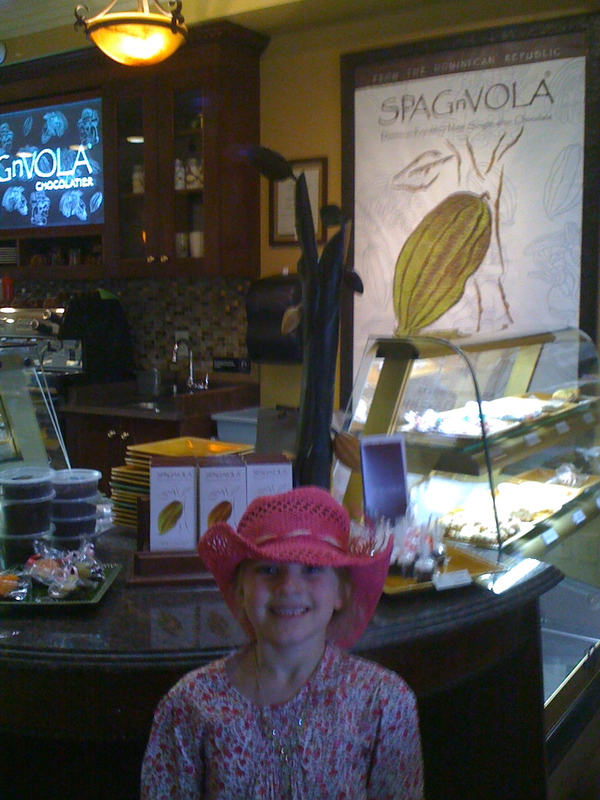 Last week, we had the pleasure of touring SPAGnVOLA with Girl Scouts. Our troop headed north to learn all about chocolate, from the farm to the tasty confection!! We learned about vertical integration, watched the chocolate liquor be ground, smelled the melted chocolate, and tasted the delicious bonbons, truffles, and chocolate bars. The tour guide (who was also the CEO/founder) was great with kids: he was enthusiastic, kept the information at their level while encouraging them to reach a little higher, and kept them engaged with all the tastings! We left the store with a box of chocolates, knowing that we will appreciate where chocolate comes from a lot more than we used to appreciate it.